If life in time is imminent and means an always open future, what role remains for the past? If time originates from that relationship to the future, then the past can only be a fictitious beginning, a necessary phantom of a starting point, a retroactively generated chronological period of "before." 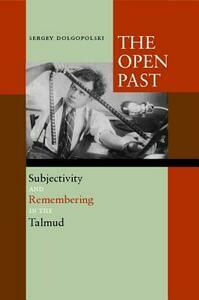 Advanced in philosophical thought of the last two centuries, this view of the past permeated the study on the Talmud as well, resulting in application of modern philosophical categories of the "thinking subject", subjectivity, and time to thinking about thinking displayed in the texts of the Talmud. This book challenges that application. Departing from the hitherto prevalent view of thinking in the Talmud in terms of anonymous thinking subjects, called "redactors" or "designer" of Talmudic discussions, the book reconsiders the modern reduction of the past to a chronological period in time, and reclaims the originary power (and authority) the past exerts in thinking and remembering displayed both in the conversations the characters in the Talmud have, and in the literary design of these conversations. Central for that task of reclaiming the radical role of the past are contrasting medieval notions of the virtual and their modern appropriations, thinking subject among them, which serve as both a bridging point and a demarcation between the practices of thinking of, and remembering, the past in the Talmud vis-a-vis other rhetorical and/or philosophical school and disciplines of thought. The Open Past suggests the possibility of understanding the conversations and the design of these conversations in the Talmud in terms of thinking in no time. This no time has several layers of meaning. In its weakest formulation, it means "in no single time" in the sense that the Talmudic conversations happen in no historically "real" time. More strongly put, it means, borrowing the language from film theory, that the Talmud requires a never consolidated difference between diegetical time, and the time of montage; which creates a no-one's time and place that in turn creates time and place for everyone else. Even more strongly, it means that performance of the conversations in the Talmud is constantly driven by, and towards, an always open past -- a power of that past is radically different from the power of either futuristic or chronological time.